On November 4th, I read at my second Polari Literary Salon in Edinburgh’s Assembly Roxy. 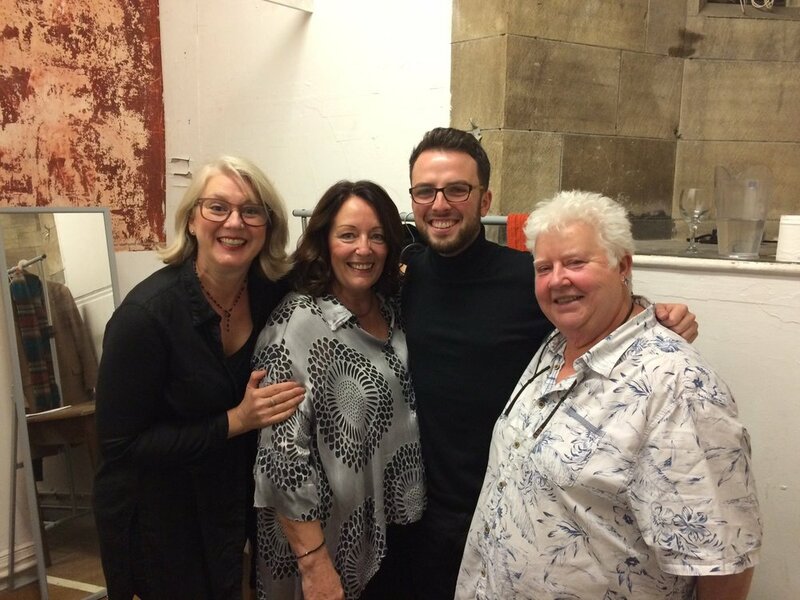 My first took place at Aberdeen University’s May Festival earlier in the year, so it was great to be invited back to read alongside queen of crime Val McDermid, Mari Hannah and Karen McLeod, as well as compere Paul Burston. Highlights from the evening have to be getting my story BSL interpreted which proved for some interesting takes on the rather rude imagery in my piece ‘A Story for Mrs Grey’ (appearing in the Winter 2016 edition of Causeway/Cabhsair magazine), and the brilliant performance by Karen of her alter-ego Barbara Brownskirt – a hoot from start to finish!